All apps on one screen. This entry was posted in iPads and tagged apps, ict capability, ipads on February 25, 2014 by letletlet. This entry was posted in Apps and tagged apps, ict capability, ipads on February 9, 2014 by letletlet. 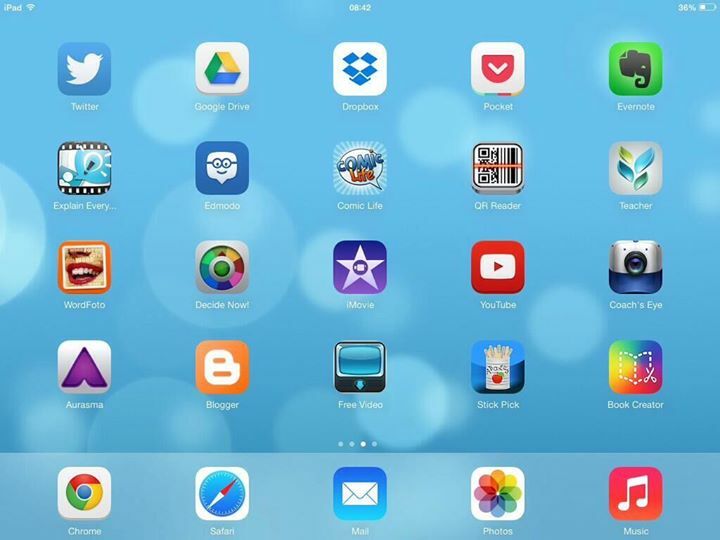 This entry was posted in ICT capability and tagged ict capability, ipads, teaching and learning on February 5, 2014 by letletlet. This entry was posted in Self-directed learning and tagged apps, assessment, classroom management, communication, ipads, self-directed learning on January 23, 2014 by letletlet. This entry was posted in History and tagged apps, geography, history, ict capability, ipads, literacy on January 19, 2014 by letletlet.